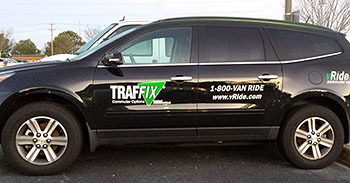 TRAFFIX is happy to introduce the Try Vanpool promotion. For 30 days, you can try a vanpool for FREE! This is your chance to take a test drive and see if vanpooling fits your needs. You can choose to participate with an existing vanpool or start a new one with coworkers.